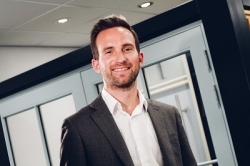 In late 2016 Yorkshire fabricator, Dempsey Dyer launched the Deceuninck Heritage Flush Sash window available with welded transoms, mullions and frames. The company is now delighted to offer the same window fully mechanically jointed. The Heritage Flush Sash is a uPVC sash window that balances modern performance with traditional design, boasting A+-rated thermal efficiency and PAS24-compliant security alongside excellent weather performance. By developing this product with convincing timber-style mechanical joints, Dempsey Dyer demonstrates their industry-renowned expertise in both uPVC and traditional joinery that’s seen them rise to become one of the UK’s most respected fabricators. Unveiled at last year’s FIT Show, The Heritage Flush Sash comes available in a choice of 26 colour options from stock including matching cills, trims and ancillaries. Unusually for a flush sash window, it also comes with night vent functionality.